The holidays are a great time to explore what our local area has to offer. Holiday pageants, festivals, parades and shows are just a few of the exciting events going on in the Columbia area this holiday season so come on let’s go explore! Through December 6 – Holiday Market at the South Carolina State Fairgrounds. This annual event put on by the Junior League of Columbia is a favorite event for purchasing your holiday items and gifts. For more information visit https://www.jlcolumbia.org/?nd=holiday_market_public. Through December 19 – “The Great American Trailer Park Christmas” at the Trustus Theater. Come out and enjoy this enjoyable holiday musical. For more information call (803) 254-9732 or visit https://trustus.org/page/home. Through December 20 – TAG – Holiday Artisan Market at 557 Meeting Street in Columbia. Features will be original paintings, prints, sculptures, jewelry, pottery, and more. For more information call (803) 767-5505 or visit http://trenholmartistsguild.org/. Through December 30 – Lights Before Christmas at the Riverbanks Zoo and Gardens. This must-see holiday event will fill you with the holiday spirit and has something for the entire family to enjoy. For more information call (803) 779-8717 or visit http://www.riverbanks.org/events/lights-before-christmas.shtml. Through December 31 – Holiday Lights on the River at Saluda Shoals Park. Ride through and see or the fabulous lights, or get out and walk the Wetland Wonderland Walking Trail, see the laser light show, meet with Santa, and visit the gift shop. For more information call (803) 731-5208 or visit http://www.icrc.net/holiday-lights. Through December 31 – Polar Express 4D Experience at the South Carolina State Museum. Feel the biting wind, smell the hot chocolate, and dance in the snow. For more information call (803) 898-4921 or visit http://scmuseum.org/the-polar-express-4-d-experience/. 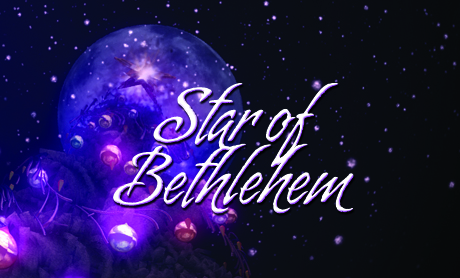 Through January 3 – “The Star of Bethlehem” Planetarium Show at the South Carolina State Museum. 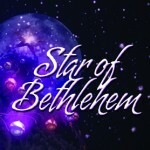 Go back in time to Jerusalem and Bethlehem and learn about the “Christmas Star”. For more information call (803) 898-4921 or visit http://scmuseum.org/holiday-season-sc-state-museum/. Through January 3 – “Christmas Laser Fantasy: Manheim Steamroller Christmas” at the South Carolina State Museum. Enjoy this dramatic laser light show choreographed to the Manheim Steamroller Christmas music. For more information call (803) 898-4921 or visit http://scmuseum.org/holiday-season-sc-state-museum/. Through January 5 – Holiday Tour of Homes and Historic Museums at several homes in downtown Columbia. Homes include the Robert Mills House, the Hampton Preston Mansion, and the Mann-Simons Cottage with each home decorated for the holiday season. For more information call (803) 252-1770 ext. 24 or visit http://www.historiccolumbia.org/. Through January 11 – “Snowville” at the EdVenture Childrens Museum. Enjoy a winter playscape by exploring an ice cave, climb Mt. Everest, visit the North Pole, slide down Sled Hill, and more. For more information call (803) 779-3100 or visit http://www.edventure.org/calendar/detail.aspx?EventID=95. Through January 18 – Main Street ICE at Boyd Plaza at the corner of Main and Hampton Street. Come out and get into the holiday spirit with some ice skating! For more information call (803) 545-3100 or visit http://www.columbiasc.net/calendar/1448. December 3 – A Starry Night in Five Points. There will be complimentary horse carriage rides, holiday music, dance and choral performances, a holiday photo booth, visits with Santa, and more with the local merchants staying open late for your convenience. For more information call (803) 748-7373 or visit https://www.facebook.com/events/882558268506920/. December 3 – Sweet Seasons at the Rooftop at Richland Mall. Enjoy the annual holiday tree lighting while enjoying live entertainment, food and drink vendors, door prizes and even a visit from Santa. For more information call (803) 250-5292 or visit http://www.forestacres.net/sweet-seasons. December 3 – Dancing with the Doctors at Blue in the Vista. This dance competition which includes a variety of medical professions, will perform to see who wins the event. For more information call (803) 251-4447 or visit http://www.free-times.com/events/event/dancing-with-the-doctors. December 3 – World AIDS Day at 701 Whaley Street. Event will include an open bar and hors d’oeuvres. For more information call (803) 254-6644 or visit http://schivaidscouncil.org/. December 3 – Natures Ornaments at the Riverbanks Zoo and Gardens. Children 2 – 5 years old will use natural items to make their own holiday ornaments. For more information call (803) 779-8717 or visit https://www.riverbanks.org/education/garden-programs.shtml. December 3 – 31 – Christmas in Cayce: A Festival of Holiday Events at the Cayce City Hall Complex, and other areas around the city. Beginning on the 3rd will be the lighting of the Christmas tree and turning on of the holiday lights. On the 5th at the Historical Museum, come learn about historical Christmases in the area through exploring the museum’s decorated rooms, and after dark, visiting a period encampment. And on the 12th, see the West Metro Parade of Lights, an after dark parade. For more information call (803) 796-1920 or visit http://cityofcayce-sc.gov/client_resources/cic.pdf. December 4 – PJ’s with Santa at the South Carolina State Fairgrounds. As part of the Holiday Market, this evening with santa will allow families to have enjoyable holiday fun, with children in their PJ”s while enjoying a Frozen themed event filled with cookie decorating, crafts, movies, storytelling, a scavenger hunt, and more, all while having the opportunity to shop with the Holiday Market vendors. For more information visit https://www.jlcolumbia.org/?nd=holiday_market_public. December 4 – “Glorius Music” at the Chapin United Methodist Church. This concert by the Dutch Fork Choral Society will include Vivaldi’s Gloria. For more information visit http://www.dutchforkchoralsociety.com/this-season/. December 4 – “A Twisted Carol: A Jukebox Musical” at the On Stage Performance Center on Cherokee Lane in West Columbia. This musical twists traditional Dickens characters with some fun new ones. For more information call (803) 351-6751 or visit http://onstagesc.com/. December 4 – Carols Along the Riverwalk at the Cayce Riverwalk Park. Enjoy a variety of choral groups and local musicians playing some holiday music for you, all within ½ a mile of the Park. For more information call (803) 550-9520 or visit http://cityofcayce-sc.gov/festivals.asp. December 4 – 6 – Lexington Snowball Festival at Lexington Square Park. Event include a concert, magic show, stilt walkers, the tree lighting and more, with a 5K/10K race and a movie on Saturday and the Holiday Parade on Sunday. For more information call (803) 359-4164 or visit http://lexsc.com/snowball_index.htm. December 4 – 20 – “The Nutcracker” at the Koger Center for the Arts. This ballet put on by the Columbia City Ballet is an annual favorite. For more information call (803) 799-7605 or visit http://www.kogercenterforthearts.com/index.php. December 5 – The Carolina Carillon Holiday Parade in downtown Columbia. Starting at Gervais and Bull Street, you will enjoy festive entries from all over the State, with the Grand Marshal’s being the USC National Championship Equestrian Team. For more information call (803) 545-3100 or visit http://www.carolinacarillon.com/parade.html. December 5 – St. Nicholas Festival at Holy Apostles Orthodox Church. Hear the choir sing old hymns, there will be crafts for purchase, Russian food for purchase, handmade beeswax candles, and meet the “real” St. Nicholas and hear the true story of this historical legend. For more information visit http://stnicholasfestival.org/. December 5 – Arbor Day Celebration at the Carolina Children’s Garden in Northeast Columbia. Enjoy crafts, learn how to read tree rings, take a nature walk while learning to identify trees, and help to plant an umbrella tree. For more information visit http://www.carolinachildrensgarden.org/. December 5 – Saturnalia Roman Festival at the South Carolina State Museum. This event is in conjunction with the Julius Caesar exhibit is being partnered with the South Carolinas Roman legion and will include a Roman Festival with reenactors, crafts, a parade, and more. For more information call (803) 898-4921 or visit http://scmuseum.org/calendar/saturnalia-roman-festival/. December 5 – Nail the Trail 5K Trail Run at Sesquicentennial State Park. Enjoy a run through this beautiful State Park. For more information visit http://www.friendsofsesqui.org/5k_race.htm. December 5 – CWOC Christmas Market at the Crossroads World Outreach Center on Emmanuel Church Road in West Columbia. There will be baked good, handmade gifts, wreaths, raffles, and gift wrapping. For more information call (803) 206-6391 or visit https://www.facebook.com/events/986830888046624/. December 5 – Island of Misfit Toys Mini-Con at 302 Artisans at Senates End on Senate Street. There will be a wide selection of gifts for all ages and if you bring a new, unwrapped toy for Toys for Tots, you will be entered into a raffle. Mr. and Mrs. Santa will be on hand. For more information call (803) 238-6019 or visit https://www.facebook.com/events/1496662963981721/. December 5 – 19 – Santa’s Gingerbread Jamboree at the EdVenture Children’s Museum. Santa’s coming to the Museum and everyone is invited. For more information call (803) 779-3100 or visit http://edventure.org/calendar/calendar.aspx. December 6 – Christmas at Red Bank at Red Bank United Methodist Church in Red Bank. Enjoy your holiday favorites sun by local and regional musicians. For more information call (803) 546-8859 or visit https://drive.google.com/file/d/0BzpTLvR3niF-NXg3NFFCQkNxclU/view. December 10 – Natures Ornaments at the Riverbanks Zoo and Gardens. Children 2 – 5 years old will use natural items to make their own holiday ornaments. For more information call (803) 779-8717 or visit https://www.riverbanks.org/education/garden-programs.shtml. December 10 – 12 – Bojangles Basketball Bash at Ridge View High School in Northeast Columbia. Teams will compete throughout the weekend with food being provided for the participants, a DJ to entertain throughout the weekend, and much more, all to benefit Home Works of America. For more information visit http://www.bojanglesbash.com/. December 11 – 13 – Columbia Christmas Pageant at the First Baptist Church of Columbia. Enjoy an evening of holiday music and entertainment at this favorite holiday event. For more information call (803) 217-3250 or visit http://www.fbccola.com/christmaspageant. December 12 – Adult Garden Workshop: Natural Holiday Wreaths at the Riverbanks Zoo and Gardens. Using fresh greens, seed pods, and other natural accents, learn to make a holiday wreath that you can then take home. For more information call (803) 779-8717 or visit https://www.riverbanks.org/education/garden-programs.shtml. December 12 – Harborside Festival of Lights and 5K Run/Walk at the Lake Carolina Town Center. Enjoy twinkling lights, luminaries, decorated trees, along with live entertainment and activities for the entire family. For more information call (803) 451-8439 or visit http://www.lakecarolina.com/harborsidelights.aspx. December 12 – Christmas Cantata: Messiah is Coming at the Columbia First Day Adventist Church in Lexington. For more information call (803) 791-1135 or visit http://columbiafirst.org/cantata-2015-2/. 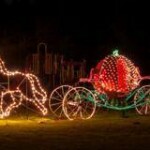 December 12 – Holiday Parade of Lights in Cayce. Starting at the corner of 12th Street and Hwy. 1 and proceeding down 12th Street, you will enjoy a mesmerizing display of lighted floats and holiday sounds guaranteed to boost your holiday spirits. For more information call (803) 796-1920 or visit http://cityofcayce-sc.gov/client_resources/cic.pdf. December 12 – 13 – Holiday Open House at the /Historic Lorick Plantation House (Lake Murray Visitors Center) in Lexington. Experience Christmas as it was in 1840. For more information call (803) 781-5940 or visit http://www.lakemurraycountry.com/things-to-do/events/columbia/lake-murray-visitor-center-holiday-open-house-2016. December 13 – Crafty Feast at the Columbia Metropolitan Convention Center. This holiday craft event will include unique and one of a kind, even repurposed items. For more information visit www.craftyfeast.com. December 13 – South Carolina Philharmonic: Holiday Pops at the Harbison Theatre at Midlands Technical College campus in Irmo. Join the Philharmonic for their annual holiday spectacular music event. For more information call (803) 407-5011 or visit http://www.harbisontheatre.org/tickets-productions/holiday-pops. December 13 – Cycle for Good at the Katie and Irwin Kahn Jewish Community Center. Reserve a stationary bike by the hour to benefit the Multiple Myeloma Research Foundation. For more information (803) 787-2023 or visit http://www.jcccolumbia.org/cycle-for-good/. 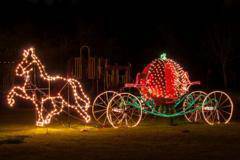 December 15 – 24 – Elgin Lights at the Towns Farm in Elgin. See dozens of antique tractors, miniature train sets, and other memorabilia all decorated in with an abundance of beautiful holiday lights, all to benefit Camp Kemo with your donations. For more information visit http://www.elginlights.com/Elgin_Lights_Christmas_Tractors_and_Trains/Welcome.html. 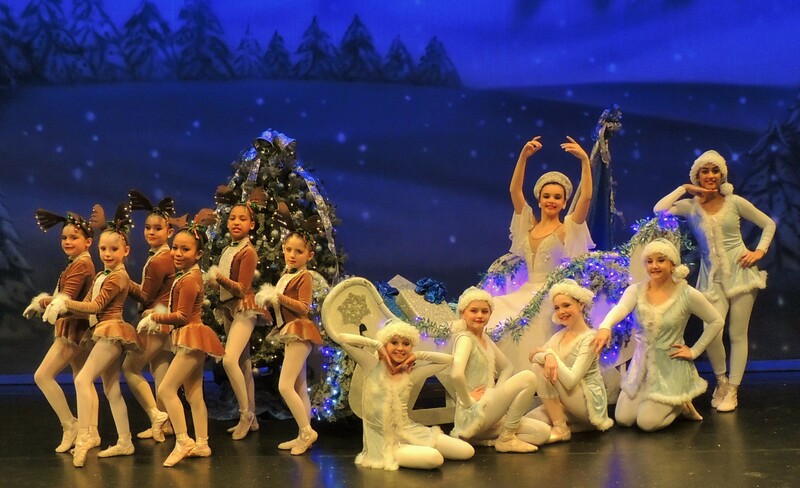 December 17 – 19 – The Christmas Angel at the Harbison Theatre on the Midlands Technical College Irmo campus. Be mesmerized by the originality of this wonderfully magical story. For more information call (803) 407-5011 or visit http://www.celestialstars.org/. December 19 – Carolina Craftisan Holiday Bazaar at the Batesburg-Leesville Leisure Center. Enjoy searching for your last minute holiday items while enjoying live entertainment, face painting, food trucks, the chance to win a door prize, and even enjoy a guest appearance by Santa. For more information call (803) 271-3375/(803) 600-4212 or visit http://www.carolinacraftisan.com/. December 19 – January 3 – “Winterfest” at the South Carolina State Museum. Throughout this two week period, each day will provide you with a different holiday surprise, to include events such as “Holidays Around the World”, holiday crafts, and more. For more information call (803) 898-4921 or visit http://scmuseum.org/holiday-season-sc-state-museum/.